The sheep roasting jack in Eyam in the Peak District. The village carnival, when the sheep roast takes place, is held each September. It’s not something I’ve ever attended, but it’s nearly lunchtime and the thought of it is making me hungry! 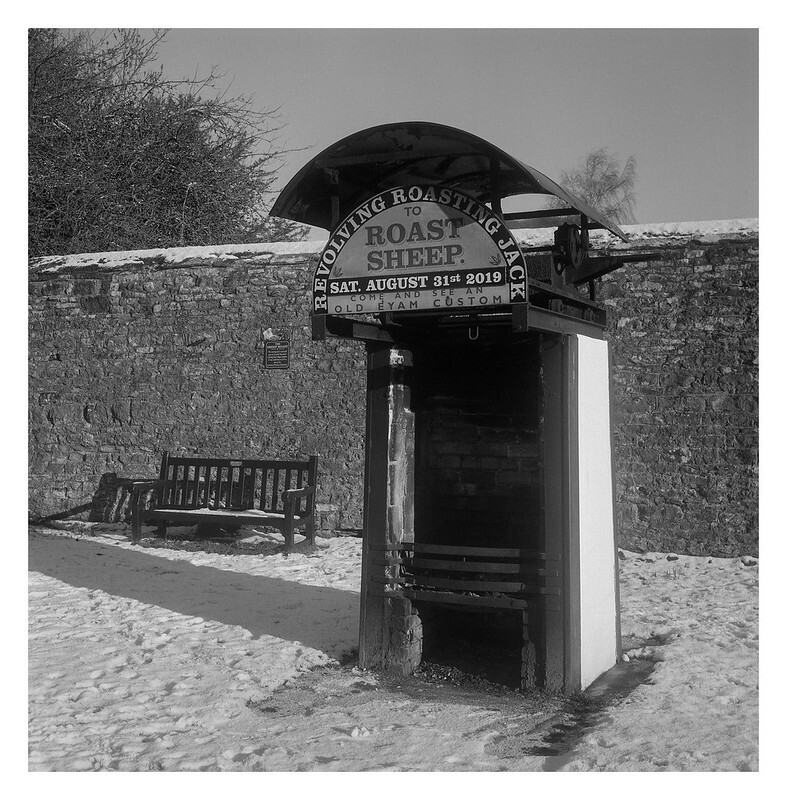 The second photograph is of a building just behind the roasting jack. Yashica Mat 124 G & Ilford HP5+. 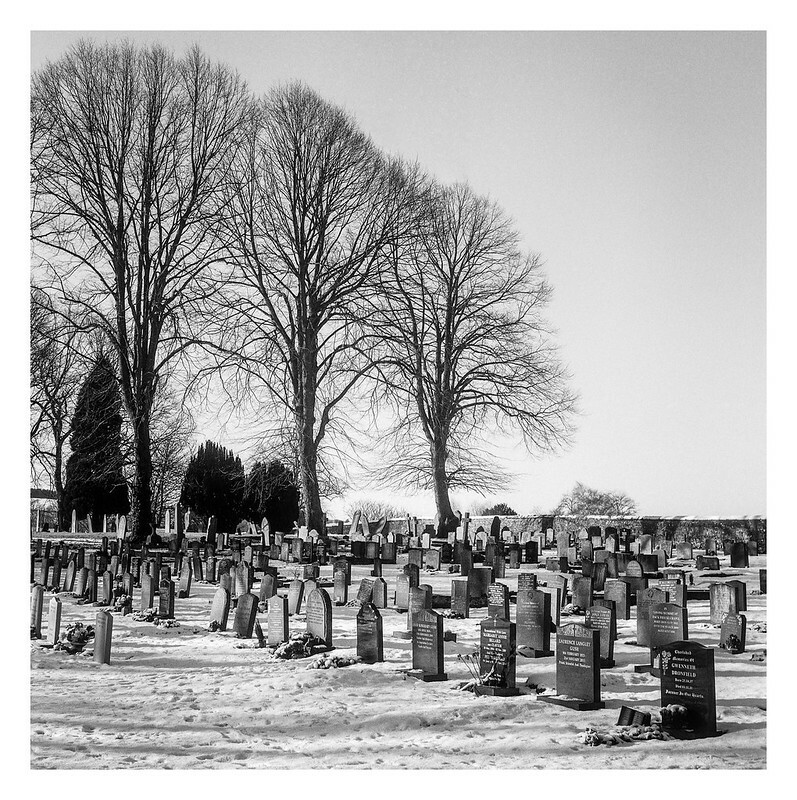 The rear of Eyam church is where the more recent graves appear to be located, and they rest in orderly rows overlooked by a number of tall trees. 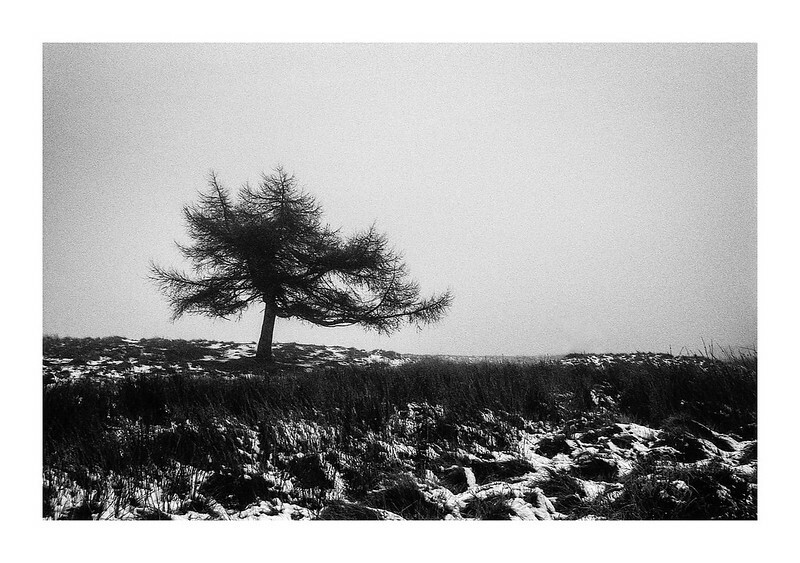 Another photo from my outing in the Peak District the other week. 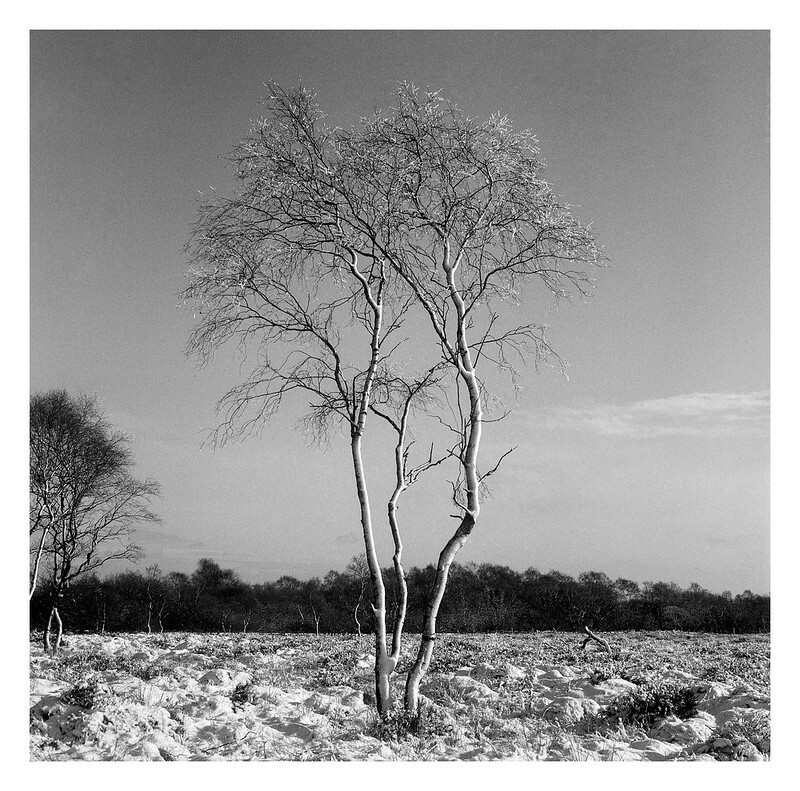 I took a few shots of this area of silver birch with my DSLR, but grabbed a shot with the Yashica Mat too. 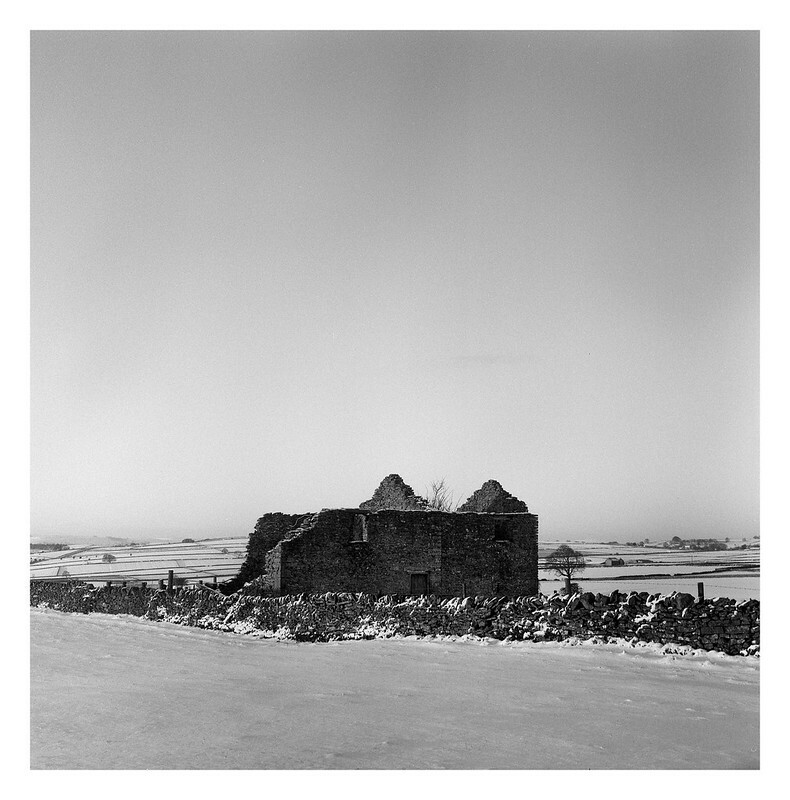 Unfortunately, it seems the batch of film I was using was one that had faults and so the print from the backing paper has shown up on a number of pictures – especially in low detail areas such as the sky. I think I’ve manged to remove it reasonably well in Photoshop though. I got up early and went out to catch the sunrise in the Peak District last weekend. 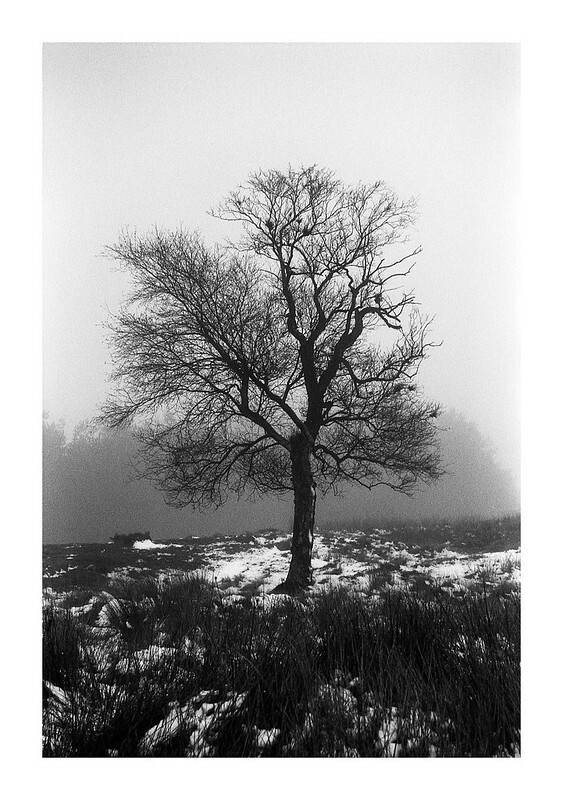 The place was blanketed with a thin layer of snow and it was a crisp and cold morning(-1.5C). 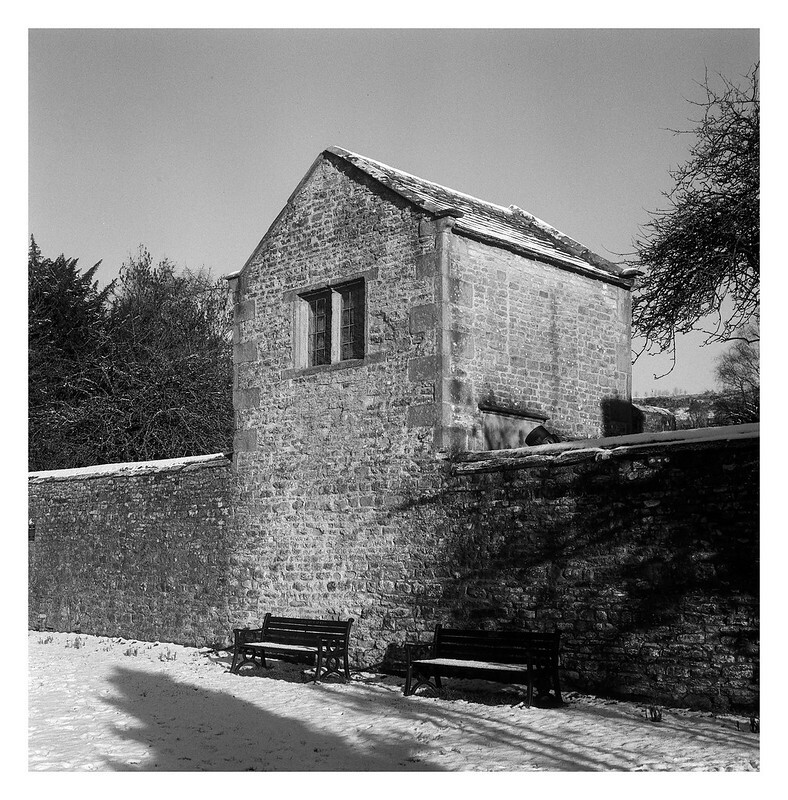 I shot several colour photos on digital, but took the Yashica Mat out with me and shot a roll-and-a-half of black and white too, including this one. Whoda thunk it. Another tree! Nikon F80, Nikkor 28-80mm f/3.5-5.6 AF & Fomapan 400. 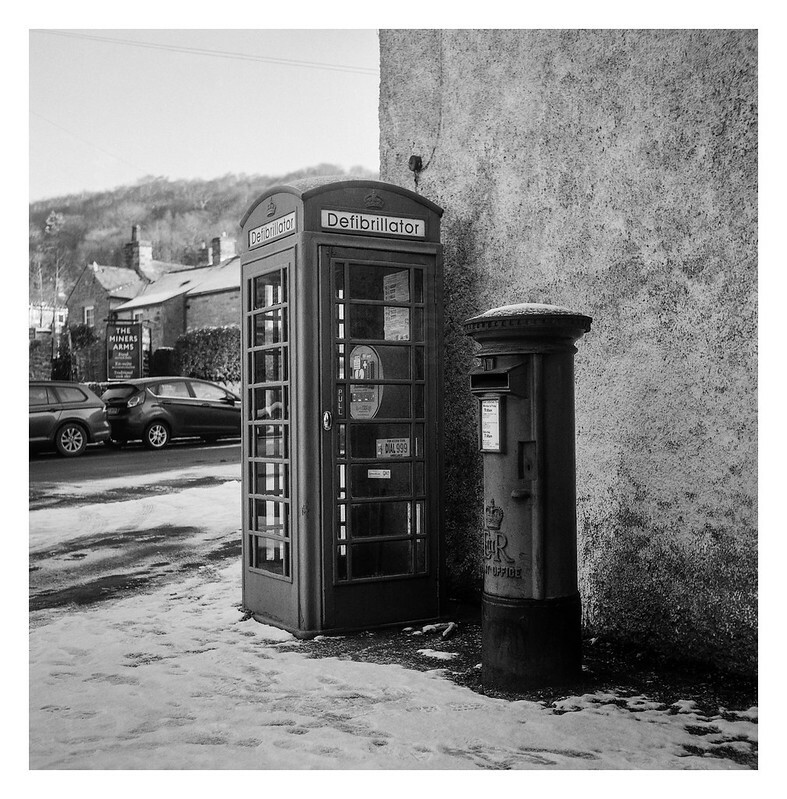 Author fishyfisharcadePosted on January 31, 2019 Categories 35mm, Film photography, PhotographyTags 35mm, Black & White, Film, Film photography, Fomapan 400, Nikkor 28-80 f/3.5 - 5.6 AF-D, Nikon F80, Peak District, Snow, Tree, WinterLeave a comment on Whoda thunk it. Another tree! As much as summer is nice, and autumn colour is glorious, the naked skeletons of winter-time trees tend to make for the most interesting photographs I think.